Could this modern twist on ancient remedies make your joint pain a thing of the past? If you still suffer from aching joints and stiffness that just won't go away, I have some amazing news. Scientists have discovered a remarkable breakthrough that improves on a 4,000-year-old secret for joint pain relief. Thanks to this new breakthrough, people are now getting better results from their joint pain relievers than anything they've tried before. And thanks to this breakthrough, people are finally getting support for their joint pain — even if it's been plaguing them for years. Now, I realize you may have heard promises like this before. 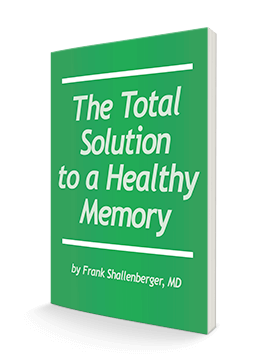 So let me tell you why this breakthrough is different from anything I've seen in my 40-plus years of practicing medicine. And let me tell you why this breakthrough can not only reduce your pain, it can even make all your other nutritional supplements work more effectively! That's not a misprint. Research shows that this breakthrough can make supplements work more effectively. Why? It affects the way the supplements are processed by your body. What does your metabolism have to do with joint pain? Well, as you may know, our bodies have a harder time absorbing and metabolizing vitamins, minerals and nutrients as we get older. But here's something you may not know. By making one simple change, you can fire up your metabolism and absorb more nutrients — including the nutrients you take to fight joint pain. You see, metabolism simply means how efficiently your body is at burning calories and generating energy. The more efficient your body is, the healthier you'll be. And here's another interesting fact. Certain foods — hot and spicy foods — speed up your metabolism and generate more energy in your body. You've probably noticed that if you eat spicy foods you feel flushed or you sweat a bit. That's because spicy foods actually ramp up your metabolism. That's why spices are part of many popular weight loss plans and supplements. These spices generate heat and boost your metabolism. So you burn more calories. And when you boost your metabolism, you also improve your digestion and the absorption of nutrients. So when scientists searched for a solution to the problem of nutrient absorption in older folks, they looked at these metabolism-boosting foods. They found one that stood out from the crowd. It waspiper nigrum, an ancient Indian spice. Piper nigrum contains an active ingredient called piperine. Could a super-concentrated form of piperine help people absorb nutrients even better? Scientists set out to find the answer. That means by using Bioperine, you can ramp up the effectiveness of your supplements and get much better results. One of the nutrients they studied was turmeric. You've probably heard of turmeric. It's a popular Indian spice that gives curry its distinctive flavor. Turmeric has been used in Ayurvedic and Chinese medicine for thousands of years to fight inflammation and joint pain. 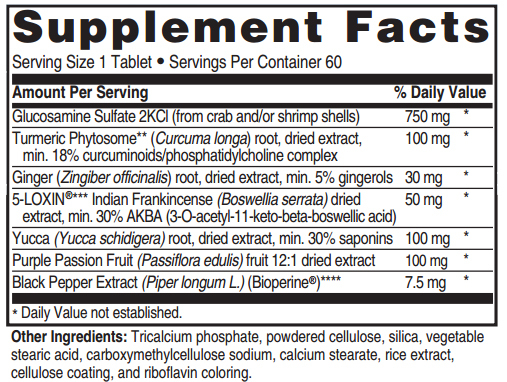 Now, imagine if you take turmeric together with the nutrient booster I just mentioned — Bioperine? What do you think will happen? Much more turmeric reaches your bloodstream! That's exactly what researchers found when they tested turmeric with Bioperine. Bioperine boosted its bioavailability by 2,000%. When I learned the news, I knew I had to include Bioperine in any joint pain formula I developed for my patients and my readers. So the question became: What other nutrients should I include? Well, if you've been around the block, you know there are dozens of nutrients to choose from. Everything from glucosamine to ginger to MSM and more. Luckily, I'm in a good position to judge the effectiveness of these ingredients. I spend 3 days a week treating patients in my clinic and another 3 days a week doing nothing but research and writing. So I've seen which ingredients are best … which are only so-so … and which are a total waste of money. Based on this knowledge, I worked with my friends at Advanced Bionutritionals to come up with a new formula that will give the greatest pain-fighting benefits to the most people. A moment ago I told you how Bioperine boosted the absorption of the joint pain-fighting herb turmeric by 2,000%. So I knew I'd want turmeric in my new formula. But I'm not just going to use ordinary turmeric. Not when there's a new breakthrough in this area, too. Well, scientists discovered a way to solve this problem. They did it by attaching turmeric to tiny little fatty molecules called phospholipids. These fatty molecules wrap themselves around the turmeric. As a result, more turmeric gets absorbed right into your bloodstream, where it can soothe your aching joints and tissues. Instead of getting quickly eliminated through your urine. This new fat-soluble form of turmeric is called Meriva®. And studies show that it is far superior to ordinary turmeric. In one study, researchers divided a group of patients into two groups. One group added Meriva to their treatment regimen and the other served as a control group. After just 3 months, the control group showed no improvement. But the Meriva group had less stiffness, better joint movement, and showed a significant drop in pain. What's more, they were able to walk farther on treadmill tests. It wasn't just their pain that disappeared, either. Blood tests showed a significant drop in their C-reactive protein (CRP). As you may know, CRP measures inflammation throughout your body. So a lower CRP can have health benefits that go far beyond your joints — to help your heart and arteries, too. This is great news for joint pain sufferers! It means you can finally get all the inflammation-fighting power of turmeric — without having to take massive doses or keep taking it every three hours. Now, just imagine when you combine this new Meriva turmeric with the nutrient booster, Bioperine, that I mentioned before. This one-two punch will really make an impact on your joint pain! And the news gets even better. That's because there's another ancient nutrient that modern science has improved, too. Nutrient 3 This new form of an ancient herb gives you clinically-proven relief from joint pain! Another one of my favorite pain-fighting nutrients has a history that goes back 5,000 years. It was prized by ancient traders and Egyptian pharaohs. In the Bible, when three wise men visited the baby Jesus, they brought it as a gift. As you may have guessed, this nutrient is frankincense — now commonly known as the herb, boswellia. Boswellia has been used for centuries in Indian and Chinese medicine to maintain healthy joints. It works by increasing blood flow to your joints. And by slowing your body's production of chemicals called leukotrienes, which trigger inflammation. But you don't think I'm going to tell you about plain old, ordinary boswellia, do you? No way! Because now, modern science has made boswellia more powerful, too. When scientists looked at boswellia, they found its most active ingredient is a substance called boswellic acid. If boswellic acid works so well to fight joint pain, why not concentrate it? And that's exactly what they did. Scientists created a new, concentrated form that contains 60 times the usual amount of boswellic acid. They called it 5-Loxin®. The next step was seeing if this concentrated extract worked any better. So an international team of scientists gathered to conduct double-blind, randomized, placebo-controlled trials. They selected patients with mild to moderate knee pain. Some patients received 100 mg/day of 5-Loxin. Some received 250 mg/day. Others got a placebo. The results? Not only did 5-Loxin work better, it worked faster. Much faster. Patients started feeling less joint pain and stiffness in a hurry! That's practically unheard of for a natural remedy. What's more, they found 5-Loxin greatly reduces an enzyme that leads to cartilage loss between your joints. As you may know, the more healthy cartilage you have, the more cushioning in your joints. That's why I'm telling all my patients and colleagues to stop taking ordinary boswellia and to switch to 5-Loxin instead. For years, scientists have known that plants contain natural steroid-like compounds calledsaponins. These saponin compounds help fight pain and inflammation. And one of the best sources of saponins is the Yucca plant. All this makes Yucca Root one powerful ally in your fight against joint pain and inflammation. And that's why I've included it in the new Advanced Joint Support formula. You've probably heard of COX-1 and COX-2, two enzymes in your body that cause pain and inflammation. Many joint pain remedies focus on blocking these enzymes. But while COX inhibitors provide some relief, many people who try them find the pain and swelling don't go away completely. Why? Because there are two other factors that also cause joint pain and inflammation. One is a group of fatty substances called prostaglandins. The other is a protein called tumor necrosis factor-alpha (TNF-alpha). Yes, this is the same "necrosis" factor that signals "cell death" in certain instances. It also triggers inflammation. But what's worse, too much TNF-alpha can kill the cartilage in your joints, too. So how do you stop these nasty inflammatory chemicals in their tracks? There's an inexpensive herb that does a fine job. That herb is ginger. Yes, the same ginger used for thousands of years to fight pain and inflammation in traditional Indian and Chinese medicines. Why suffer from aching joints and stiffness a moment longer? LEAD an active, pain-free life again! 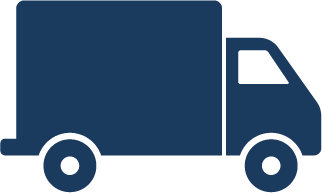 Follow this LINK to order or call 800-791-3395 any time 24 hours a day, seven days a week. This next remedy really has me excited. It's actually a remedy for asthma. But now we find it works for joint pain, too. Here's the story. Most asthma is caused by inflammation. Your windpipe gets inflamed and swells up and causes wheezing and shortness of breath. Asthma sufferers know a natural plant extract can help reduce this inflammation. They use an extract called Purple Passion Fruit. Well, one day scientists wondered ... since Purple Passion Fruit fights inflammation in asthma, could it fight inflammation in your joints, too? Collagen, as you may know, is a building block for skin, tendons, and cartilage. Some people refer to collagen as the "glue" that holds your body together. Without collagen, your body would quite literally fall apart! So this simple little flower extract not only reduces your joint pain, it could help your body grow stronger ligaments and tendons, too. But you'll have a hard time finding Purple Passion Fruit extract in any other joint pain supplement. That's why I made sure to put it in Advanced Joint Support, in the right form and amounts used in the clinical studies. 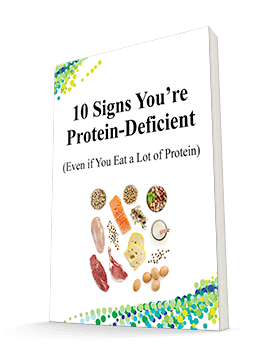 You've probably heard of this next nutrient. It's the most widely-studied joint supplement on the planet. And it supports healthy cartilage growth in your joints. But now scientists have discovered that it can even slow down the destruction of your joints — by helping you maintain a healthier "space" between your bones. So what is this nutrient? It's none other than glucosamine. Yes, glucosamine. Now I realize that you may already be taking glucosamine. But you have to take the right dosage and the right form. That's important because having more space between your bones can mean less "bone-on-bone" grinding. It translates to more cartilage, the key to joint health. And that means less pain and bone degeneration. But as I mentioned before, you can't take any kind of glucosamine and expect these results. You have to take the right kind, in the right amounts. Most people don't, because many joint pain formulas skimp on glucosamine to save money. That's why each daily dose of Advanced Joint Support includes a full 1500 mg of glucosamine sulfate 2KCl. Glucosamine 2KCl is a water-soluble form that's easier for your body to absorb. It's the same amount used in the clinical trials. ... just imagine what they can do when you "boost" their absorption using the Bioperine! Your results can only get better. Bioperine — the only patented form of piperine that is clinically-proven to increase the bioavailability of nutritional compounds. It's the "spark plug" that ignites your metabolism to absorb the nutrients you're getting now. Meriva — the proven pain-fighter that's now 9 times more powerful than regular turmeric. 5-Loxin — a new, patented form of boswellia that's clinically-proven to relieve joint pain and stiffness. Yucca root — a rich source of resveratrol and other natural plant compounds that stop inflammation in its tracks. Ginger root — to help combat a hidden cause of joint pain, while reducing swelling and even slowing the loss of cartilage in your joints. Purple Passion Fruit — to calm inflammation and help your body create more collagen, for stronger ligaments and tendons. Glucosamine sulfate 2KCl — a highly absorbable form of glucosamine, to nourish your cartilage and give you healthy space between your joints. Other ingredients: Tricalcium phosphate, powdered cellulose, silica, vegetable stearic acid, (vegetable cellulose sodium, calcium stearate, rice extract, cellulose coating, and riboflavin coloring. **Meriva® brand bioavailable curcumin. Meriva is a registered trademark of Indeva S.p.A., Milan. ***5-LOXIN® is a registered trademark of PL Thomas — Laila Nutra, LLC and is under license. International patents pending. ****BioPerine® is a registered trademark of Sabinsa Corporation. If you've been taking other joint pain remedies and still aren't getting the relief you want ... these are the nutrients I recommend you try. The trouble is, you'll have a hard time finding all of these new breakthroughs at your health food store. Especially Bioperine, Meriva and 5-Loxin. And even if you can find them, you could easily pay up to $73.00 a month to buy all 7 of them separately. That's why I'm pleased that Advanced Bionutritionals has agreed to include them in their new Advanced Joint Support formula. You get all 7 — Bioperine, Meriva turmeric, 5-Loxin boswellia, ginger, purple passion fruit, yucca and glucosamine sulfate — for as little as $24.95 per month. That's quite a savings! Plus, you'll love the convenience of getting all 7 nutrients in the correct doses. With the quality and purity of each nutrient guaranteed by Advanced Bionutritionals. That's extra peace of mind my patients appreciate. I highly recommend Advanced Joint Support. I've taken Advanced Joint Support myself and give it to all my patients with joint pain. I want to improve my joint support with these 7 amazing nutrients now! Try new Advanced Joint Support at the lowest price now! You can get all 7 ingredients in one formula that costs just pennies a day. A One-Month Advanced Joint Support Starter Pack ... is just $29.95, plus shipping and handling. Try a 3-month supply of Advanced Joint Support for just $79.95, plus shipping and handling. You'll save $9.90 off the regular price. But thanks to this special offer, you can get Advanced Joint Support for as little as $24.95 per bottle, plus FREE shipping. That could save you as much as $54.86 per month! What's more, it's so much easier to get these nutrients in one convenient supplement, rather than having to mix and match them yourself. All the work has been done for you. Get started now, or call Advanced Bionutritionals at 1-800-791-3395. ... is just $149.70 plus free shipping and handling. This is by far the best value because you save $30.00 off the regular price, plus Free Shipping, another $6.95 in savings! Support. That's because every bottle is backed by a "Down-to-the-Last Tablet" Guarantee. ... or if you decide to send it back for any reason whatsoever ... even if you're down to the last tablet ... you'll receive a 100% refund of every penny you paid — including shipping and handling. You only pay return shipping. No hassles. No questions asked. Since you risk absolutely nothing, why not order some today? Follow this LINK or call 1-800-791-3395. Imagine how great it'll feel to wake up each morning with less joint pain and stiffness. Imagine rolling out of bed, eager to face each new day! You can start to enjoy your favorite activities and hobbies once again. Take long walks. Play golf. Go dancing. Open jars without pain. Lift up your grandkids without wincing. And without worrying that you'll wake up the next day stiff and sore. You'll also banish the worries that go with joint pain. You won't let joint pain take over your life. Or risk losing your independence and becoming a burden to those around you. Not you! When you have better support for your joints, your life improves dramatically. That's why I urge you to try Advanced Joint Support today. Take advantage of this risk-free opportunity to see what Advanced Joint Support can do for you ... your comfort and your quality of life. You have my word that every bottle is 100% guaranteed or your entire purchase price (including shipping!) will be promptly refunded within 90 days of your purchase. You don't risk a cent. So why not give this new breakthrough formula for joint pain a try! P.S. If you can't stand your stiff joints and pain another minute, then here is something you need to know. 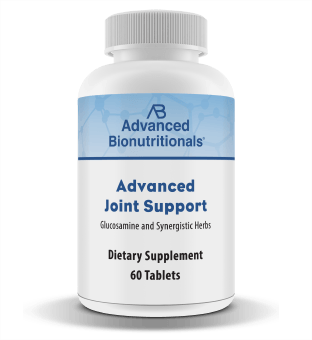 The new "bioavailability booster" in Advanced Joint Support makes proven pain fighters like turmeric, boswellia, glucosamine and ginger work much better. So you can finally get the relief you need — even if you've tried other supplements and been disappointed with the results. That's why I urge you to try Advanced Joint Support with this risk-free offer today. Call Advanced Bionutritionals at 1-800-791-3395 — 24 hours a day, 7 days a week — to get Advanced Joint Support delivered to your door within days. Or follow this LINK now. Please rush me my fresh supply of Advanced Joint Support as indicated below. Select your order preference by checking the appropriate box. "Stopped pain in its tracks"
ACT NOW! 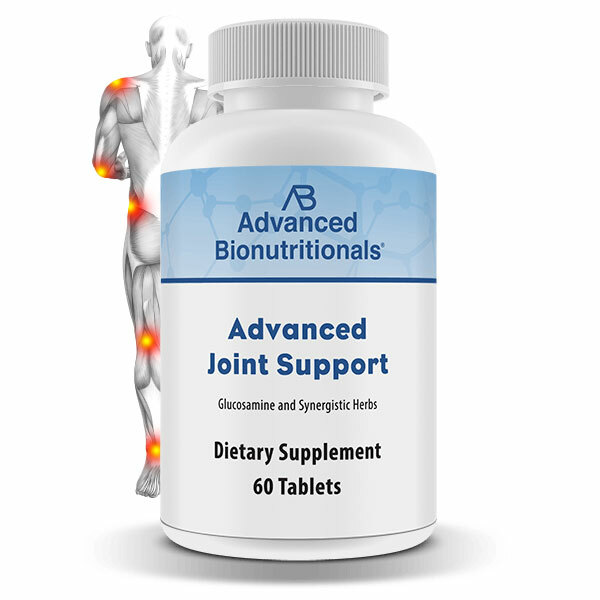 Order Your Advanced Joint Support Today! I have recommended this supplement to many friends. It has stopped the stiffness in my fingers in its tracks. Knee pain, which was the other difficulty I was having is 95% better. By the way, I am a physical therapist so I am not easily fooled. Ive been taking this quite a while, so, just to see if it was really working, I stopped it. Wow, what a difference, I began again right away. I won't be without it now. I have taken this product for years, and am absolutely convinced that I have avoided joint pain because I have taken Advanced Joint Support. My physician had told me I needed a new knee; my knees were bone on bone. I try to avoid surgeries. Over time the pain improved and I was able to even hike up hillsides, but I was still having some pain on stairs and in other situations. I decided to try Advanced Joint Support; with only 1 pill for several months, I have had an almost total elimination of pain. As a matter of fact, I have been very busy and just realized how much better my knees feel. So, don't give up and just do the surgery; it is amazing what is available to help us. I've been using this formula for at least 2 years now and I would never want to be without it. It really does work to keep the inflammation down and makes it possible for me to be active and free from pain.